The revolution in Nepal began on February 13, 1996. In ten years of the Nepalese civil war (1996-2006) more than 13,000 people were killed in battles, ambushes and raids and pacification operations. At the end of the conflict, many rural areas were under the control of the rebels, and Katmandu was subject to frequent blockades and bomb attacks. The insurgents from the very beginning declared that they want to replace the constitutional monarchy of Nepal with the communist republic. In January 2001, the government of Nepal created the United Police Units – paramilitary forces to fight insurgents. On June 1, 2001 – allegedly completely unconnected with the war – King Birendra was murdered along with the whole family during supper in the palace dining room. The son of King Dipendra, the Crown Prince of the royal family of Nepal dissatisfied with the fact that his parents did not accept his chosen woman, he assassinated his family members. During a family meeting under the influence of whiskey and drugs, he shot relatives from the machine gun: his father King Birendra, his mother Queen Ayshwaria and seven other members of the royal family, and then he took his own life. Suicide – or maybe a coup – failed. 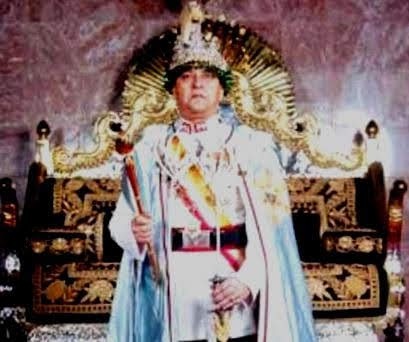 After the death of the king on the throne he sat – according to tradition – Prince Dipendra. However, on June 4, his body was found in the palace and it was found that the death occurred a few days earlier. Then Gyanendra sat on the throne – the younger brother of the murdered King Birendra. Many claimed that the Crown prince was innocent, and the massacre was a conspiracy aimed at placing Gyanendra on the throne, who was the only one who did not attend dinner, which was seen as evidence of his involvement in the conspiracy. A few days after the incident, an editor and two journalists from Kantipur, one of Nepal’s largest dailies, were arrested and responsible for the publication of the call for arms of the leader of the Nepalese Maoist party. Birendra held power for 30 years – from 1972 to June 2001. He was one of the last absolute rulers in the world – his word was law. And although the earlier revolution – from 1990 – made him a constitutional monarch, he was not just a figurehead. He and his family were key elements of Nepal’s social, political and religious life. 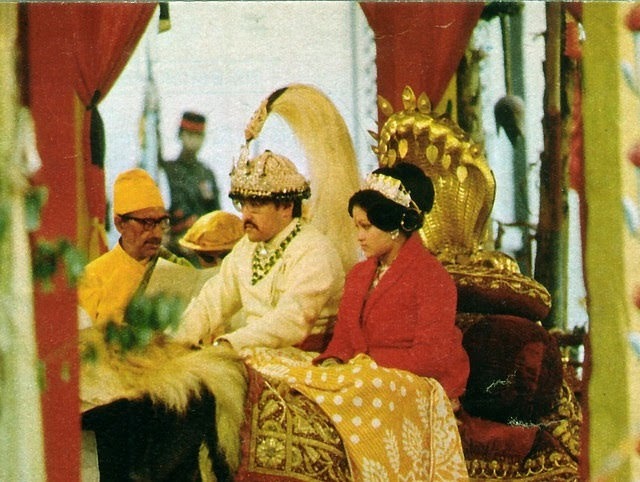 Birendra liked to live a royal life. Gyanendra – the second son of King Mahendra Bir Bikram Shah Dev – did not enjoy this kind of sympathy from the nation. He is a clever and powerful businessman who, at one time, was associated with drug trafficking. His son Paras does not enjoy a good reputation – it is believed that together with the crown prince Dipendra they liked to play with drugs in their teenage years. It is claimed that it was this tendency of the royal youth towards the influences from the West that led the royal dynasty to collapse. 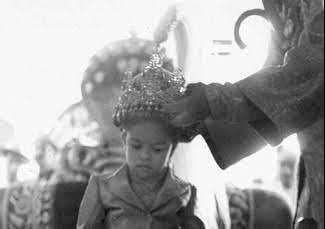 Even earlier – in 1950 – as a child Gyanendra was declared king. During a political conspiracy drawn up by the dying Rana dynasty against the Shah dynasty, his father, King Mahendra, his grandfather, King Tribhuvan, along with other members of the royal family, were deported to India. In Kathmandu, only the youngest Gyanendra was left with his nanny, who was crowned king and for a few months the governments still held Rana from the hands of a small boy. In January 1951, King Tribhuvan returned to Nepal and took over the throne. Gyanandra’s rule was short but traumatic. Within six years of exercising power, he moved from the undisputed absolute leader of the country to a disgraced monarch accused of murdering his nation. He inherited a country under Islamic rebellion. When King Gyanendra took over the throne of the Maoists, he intensified the campaign of violence, which turned out to be the baptism of fire for the new ruler. In August 2001, peace talks between the government and the Maoists began. They fell a few months later as a result of a Maoist attack on police checkpoints in many regions of the country. As a result, on 26 November, the Prime Minister of Nepal Sher Bahadur Deuba declared a state of emergency throughout the country and directed military forces against the Maoists. It was then that the United States recognized the Maoist parties as terrorist organizations and declared support to the king’s forces. On May 22, 2002, the king responded to Maoist attacks – with the suggestion of Prime Minister Deuba – the cancellation of the Nepalese government: Parliament is dissolved and the king manages new elections. The reason for the solution is the opposition to the state of emergency. On October 4, 2002, King Gyanendra dismisses Prime Minister Deuba and the Council of Ministers, takes over executive power and cancels the elections to the House of Representatives to be held on November 11. He appoint Lokendra Bahadur Chand as prime minister. In April 2004, mass rallies of Maoists called anti-monarchist and pro-democracy began. Deuba becomes the prime minister again, to be dismissed on February 1, 2005 in connection with the failure to deal with the rebels. Then Gyanendra fully takes over control and blocks the activity of the press, television and the Internet. The ultimate reason was due to the fact that successive officials did not do enough to complete the Maoist rebellion. Close advisers suggested that he deal directly with the crisis. Mass arrests of civilians start. It was the next step that would accelerate the end of the 240-year-old Shah dynasty. Since the abolition of absolute monarchy by Nepal and the election of its first prime minister in 1991, it was the first complete takeover of power by the dynasty. Earlier, Gyanendra consistently opposed the absolute power and declared sympathy towards democracy. Nepal again found itself on the front pages of the world press and many countries criticized Gyanendra’s activities. The United States, the United Kingdom and India have stopped deliveries to the Royal Army of Nepal, and many other countries have suspended previous aid commitments. From everywhere insisted that the king would accept political parties to solve the deepening crisis in Nepal. The weeks of demonstrations of hundreds of thousands of people organized by the Maoist party in April 2006 finally led to the end of the palace’s power. Further peace talks are being held, which ends on November 21, 2006 with the signing of a comprehensive peace agreement between Prime Minister Koiral and the Maoist leader Prakhanda. The agreement allows Maoists to take part in the elections, but they remain under UN surveillance. A new government headed by Maoists announced that the palace and other royal properties would be nationalized. This was done on August 23, 2007. Nationalization did not cover goods that were the king’s property before taking the throne. Gyanendra was disqualified as the head of the army and lost almost all of his staff. In addition, the image of the ruler was removed from the national currency, and his depreciation was drastically reduced. It was announced that the former king would not be banished and could live in Nepal as an ordinary tax citizen. In May 2008, the country was declared a republic by the Maoist constitutional assembly, and a few days later the king signed the transfer of power. Gyanendra left the Narayanhiti Palace in Kathmandu on June 11, 2008. The palace was turned into a museum, the diamonds and rubies were planted with the crown of Gyenendra and the royal scepter along with the remaining crown jewels and royal property became government property. Since he did not have any other possessions, the government allowed him to live in the Nagarjuna Summer Palace, which was already owned by the state. The residence Nagarjuna consists of a two-story building Hemanta Bas – where the former king and his family lived – three guesthouses, office secretary and staff accommodation. accommodation for staff. Gyanendra and his family moved to the two-story Hemanta Bas. Former King Gyanendra is now the main figure in the King Mahendra Trust for Nature Conservation in Nepal and works closely with the World Wildlife Fund. Gyanendra Bir Bikram Shah Dev born in July 1947, has a wife and two children. Now that he is no longer the king, he has more time for his business. Is the owner of a hotel in Kathmandu, runs tea production in the east of Nepal and a cigarette factory. He also finds time for his hobby, which is reading and writing poetry. I know from the Sherpas’ friends that now the former king no longer lives in the Nagarjuna Palace, but I was unable to find out which region of the beautiful Kathmandu Valley is currently his home. Defining the current situation of the country, we can say that despite the passage of 10 years since these changes it is still at a crossroads. It is a country that – due to the low domestic gross income – is still forced to use the help of its two great neighbors. At the same time, the rulers are now aware that his greatest wealth is his own cultural heritage – which must be preserved at all costs. How the Nepalese sing in their hymn – their nation consists of many different jati, bhasa, dharma – castes, languages, religions that can perfectly coexist in creating a whole called Nepal.